Summary: Most spinal cord injuries spare some connections between the brain and the spinal cord below the injury site. We electrically stimulate the brain and spinal cord to strengthen the weak nerve connections that persist after injury. The goal is to amplify the “go” signal from the brain so that the spinal cord can respond and enable paralyzed body parts, especially the arm and hand, to move again. We have made substantial progress toward this goal in laboratory experiments with rats. We have now received funding to move this approach from rats to larger laboratory animals and then to people with SCI. 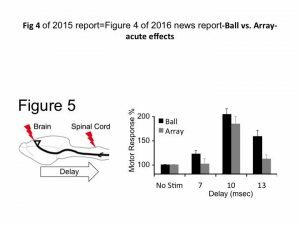 Update: Our project uses paired brain and spinal cord stimulation to promote recovery of hand function after spinal cord injury (SCI). SCI causes paralysis largely due to interruption of the corticospinal tract, a direct connection between brain and the spinal cord. The corticospinal tract is the main pathway that turns thought of movement into action. 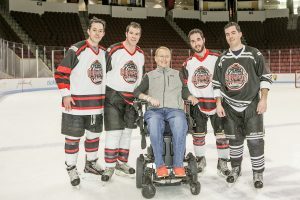 By stimulating the corticospinal tract at its origin on surface of the brain and its termination in the cervical spinal cord, the project intends to strengthen this particular neural connection. The specificity of the approach is intended to maximize its effectiveness and minimize potential unwanted side effects. We report five major advances in the research. 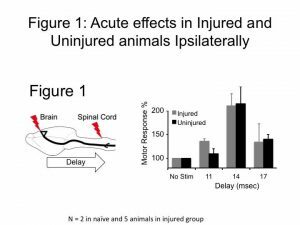 First, we have found that a single pulse of spinal cord stimulation that itself does not cause a muscle contraction can dramatically strengthen a muscle contraction elicited by brain stimulation in injured rats to a similar degree as uninjured rats. 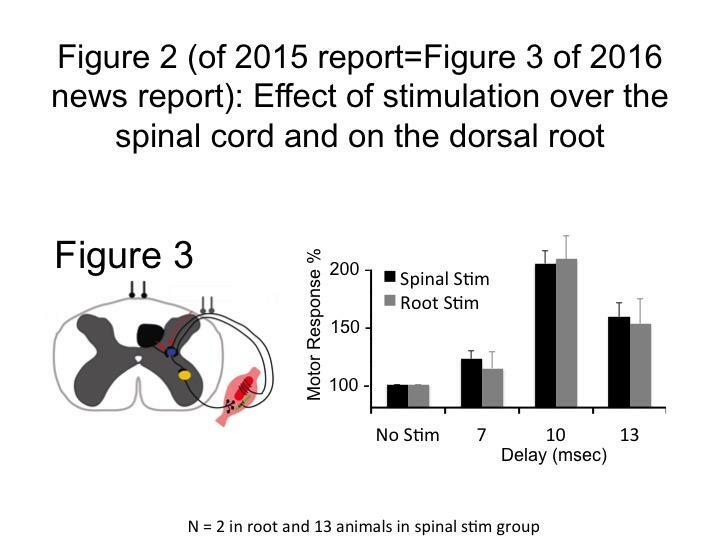 Spinal cord stimulation more than doubled the size of the response, but only if it was properly timed to coincide with the impulses from the brain. Thus, spinal cord stimulation can increase responses to brain stimulation at the time that it is delivered. The type of injury that was performed in these rats was a selective injury of the corticospinal tract. Rats were tested from one week to four months after injury. Results of muscle responses at the time of the paired stimulation are shown in Figure 1. When brain stimulation is performed 10 milliseconds (1/100th of a second) before spinal cord stimulation, there is a very large increase in muscle response compared to the same responses with brain stimulation alone. This increase in brain stimulation is critically dependent on the proper timing of the pairing. We next asked if brain and spinal cord stimulation are performed repeatedly whether it could strengthen of corticospinal responses. 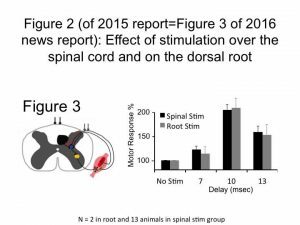 Our results show that pairing brain and spinal cord stimulation with the right timing can cause lasting changes in the CST. To test this idea, we repeatedly stimulated brain and spinal cord 150 times over 5 minutes. Every 2 seconds we would stimulate the brain and then 10 msec later the spinal cord. We measured the strength of the CST before and after this intervention. 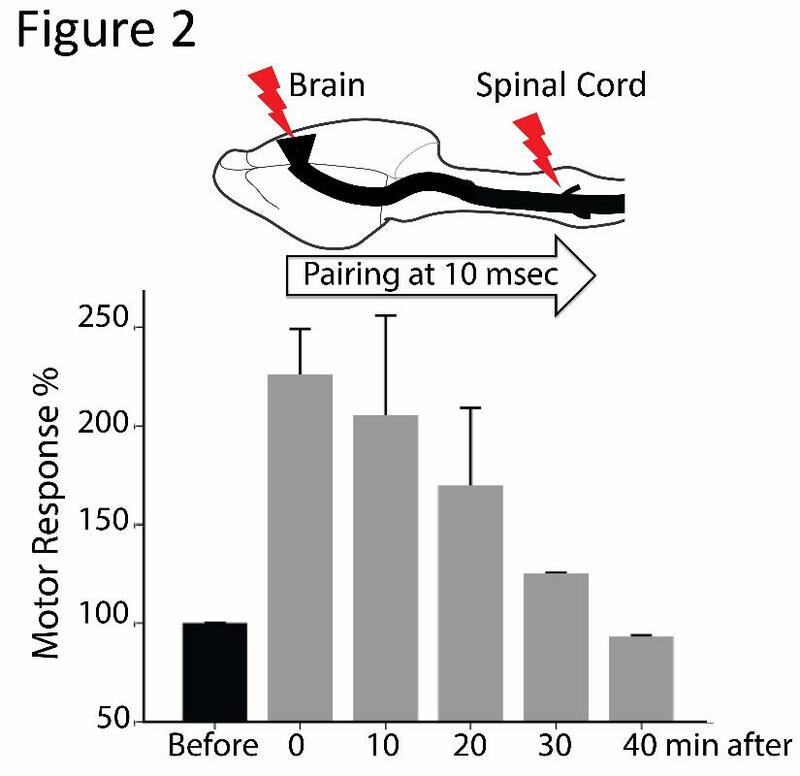 As shown in Figure 2, repeated paired stimulation caused a very large increase in the strength of the CST (again > 200%). As opposed to the first group of experiments, in the repetitive pairing experiments, the strengthening of the CST happens in the absence of continued spinal cord stimulation. That is, the repetitive stimulation has changed the CST in a lasting way, the ultimate goal of this project. This augmentation lasts on average about 30 minutes after just 5 minutes of stimulation. The third advance we have made is demonstrating how the pairing of brain and spinal cord stimulation cause synergistic effects. To communicate this advance, some background is needed. Thus far, we have only discussed the signals that come from brain to cause spinal cord nerve cells to fire in a coordinated pattern and produce arm and hand movements. But the movement system must coordinate with the sensory system for movement to be useful. That is, the go signal from brain to muscle must incorporate information about the position of the arm and hand to be functional. One of the places that the movement and sensory systems come together is in the spinal cord. Paired brain and spinal cord stimulation act at the site of convergence of the corticospinal tract and the sensory signals about arm and hand position in the spinal cord. Evidence for this conversion mechanism of how brain and spinal cord stimulation interact is presented in F igure 3. Stimulation of the dorsal part of the spinal cord (towards the back—think of the dorsal fin of a shark) could cause excitation of many parts of the spinal cord. We hypothesized that spinal stimulation acts specifically on sensory fibers as they enter into the spinal cord. To test this idea, we stimulated two sites, over the spinal cord itself and on the dorsal root, where the sensory nerves enter into the spinal cord. If spinal cord stimulation acts by stimulating the sensory fibers, then the effects of stimulating at each of these sites should be the same. As shown is Figure 3, that is what we found. The two sites were similar both in the proper timing of brain and spinal cord stimulation, and in the magnitude of the effect. Understanding how the paired stimulation works is critical for optimizing the therapy. The fourth advance we have made is in the creation of a system to stimulate the spinal cord over days and weeks. We have investigated the effects of spinal cord stimulation using wire with tiny ball endings, and these cannot be implanted without injuring the spinal cord. To prevent injury, electrodes need to be supple, but for implantation they need to be stiff, so they can be positioned in the narrow space between the vertebrae and the spinal cord. 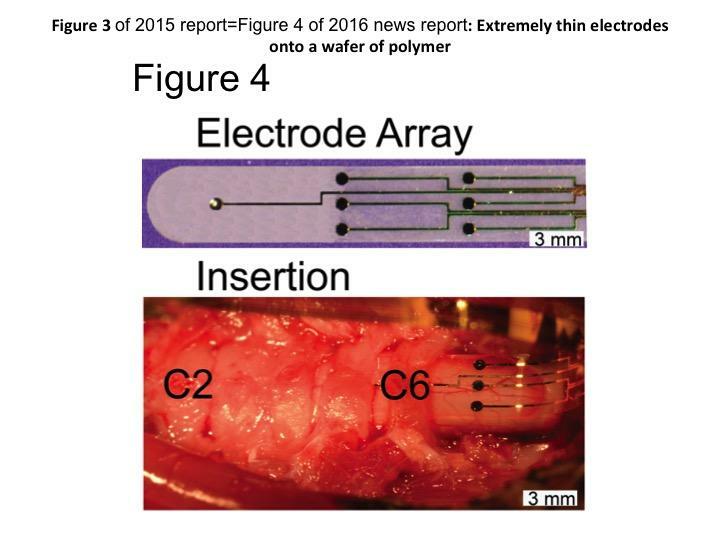 To meet these challenges, we have partnered with a material sciences laboratory to print extremely thin electrodes onto a wafer of polymer, shown in Figure 4. The polymer is stiff at room temperature. But in the warm aqueous environment of the body, it becomes as supple as silicone rubber. 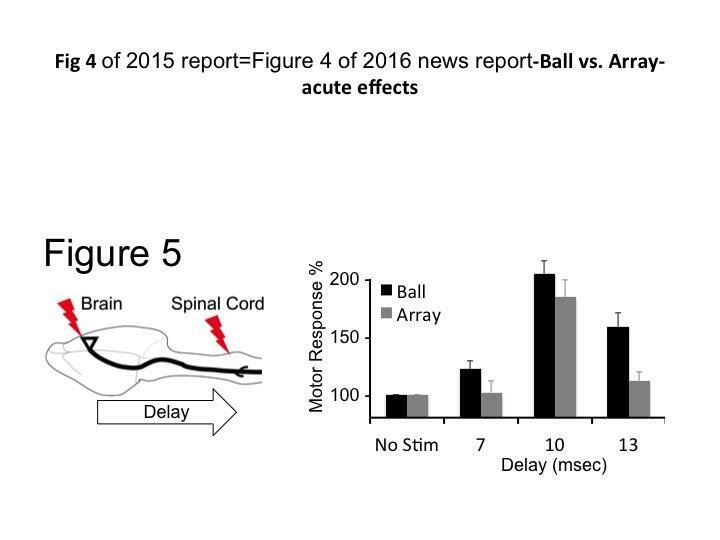 Using this electrode to perform paired brain and spinal cord stimulation, we found the effects were just as robust as the wire ball electrodes, as shown in Figure 5. We are now inserting these electrodes in our rats and after recovery from surgery; we are performing above mentioned first three findings in moving animals. The idea is to finally develop technology for use in human patients to use for longer time after implanting electrodes to cure paralysis. The fifth advance is to secure more funding for the project. We received a collaborative grant from New York State Spinal Cord Injury Board for translational SCI research that will start on August 1, 2016. The total funding of this grant is $3.7 million over 5 years. This will fund rat experiments in the Carmel laboratory, cat experiments in the laboratory of Jack Martin at the City College of New York, and human experiments in the lab of Noam Harel at Mount Sinai Hospital. In this way, we are pushing to translate an approach that has shown benefit in rats to larger animals and then to people with SCI. 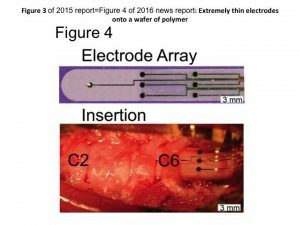 We also were awarded another NIH grant in February for the development of new spinal stimulating electrodes in collaboration with the bioengineers who produce them. The grant provides $275,000 over 2 years. 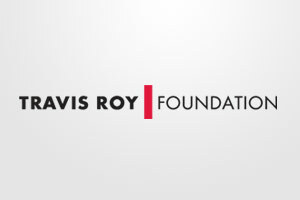 Thus, the critical seed funding from the TRF has enabled us to secure other funding for this promising research.